10098 Rivoli - Torino, Italy. Tuesday to Friday: 10 a.m. – 5 p.m. Saturday and Sunday: 10 a.m. – 7 p.m. Closed Monday. Closed 25 December, 1 January. Tulkus 1880 to 2018 is a project bringing together photographic portraits of tulkus dating from the early days of photography right up until today. 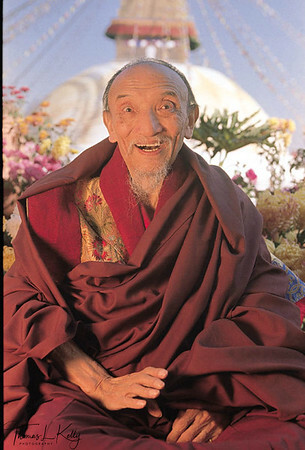 In Tibetan Buddhism, a tulku is the recognised reincarnation of a previous Buddhist master (a highly realised teacher or lama, e.g. H.H. 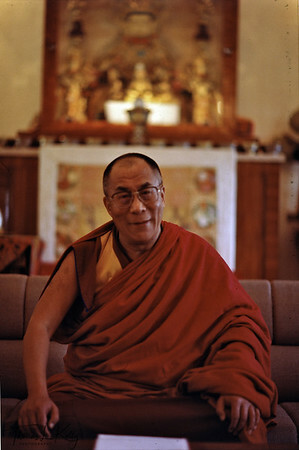 the Dalai Lama or H.H. 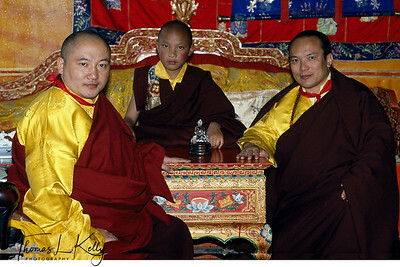 Karmapa) who is able to choose the manner of their rebirth and can often reveal the place of their next birth by means of cryptic clues. 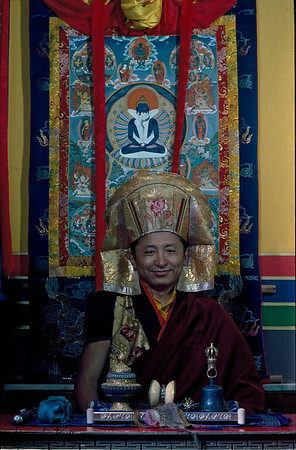 It is currently believed that there are over two thousand tulkus. Castello di Rivoli Museum of Contemporary Art hosts the first exhibition of the project with more than 1000 photographs. 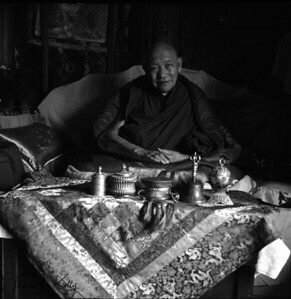 This project (a work in progress) aims to achieve a comprehensive survey of most, if not all, tulkus belonging to the various Buddhist and Bonpo schools, in all the areas of the world where Tibetan Buddhism is practiced. 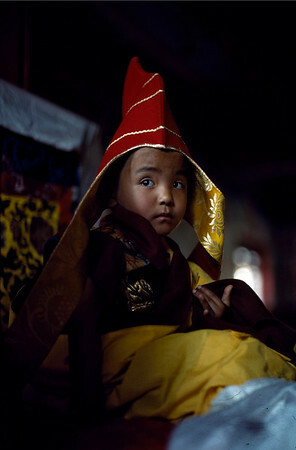 A complete photographic archive of this kind has never been compiled before. 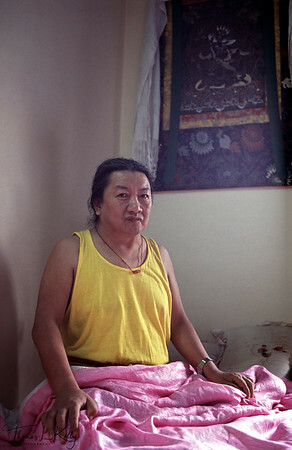 The portraits exhibited are exactly the same kind as those that are very common in Tibetan culture and visible in monasteries, homes and shops close to monasteries: single portraits of the tulku sitting on a throne in monastic surroundings or single portraits of the face of the tulku. 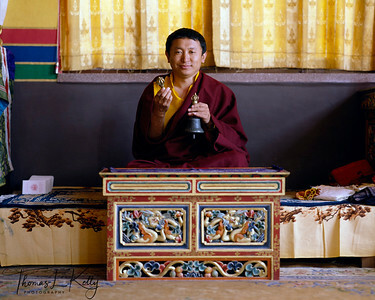 These photographs hold spiritual value and are holy for Buddhists. 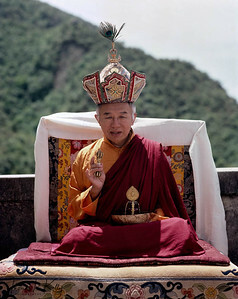 It is believed that a photograph of the tulku has the same power as the tulku themselves. 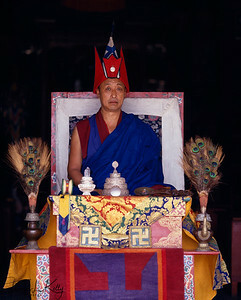 Tulkus are collectively revered for holding the lineages of oral transmission of all of the Buddha’s teachings, which have been handed down through many generations. 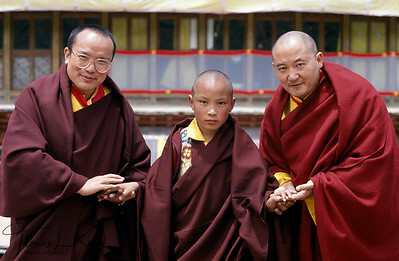 Most often they are referred to as Rinpoche or ‘precious one’. 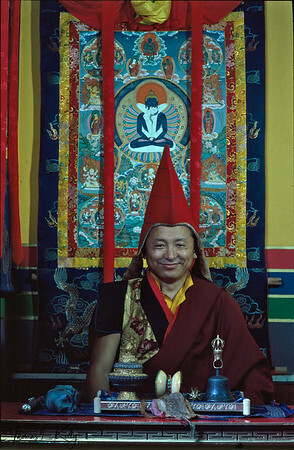 An ancient Tibetan thangka (painting) portraying Tsuglag Gyatso, the Third Pawo Rinpoche (c 1567–1630), and dating back to the first half of the 17th century, is displayed as the centrepiece of the exhibition and symbolises the origin of the tulku photographic portrait tradition. 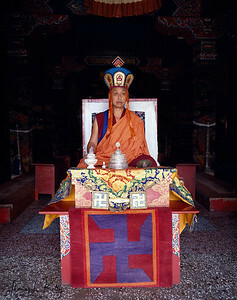 Extensive research has been carried out in many areas of the world by a large team of researchers, reaching out to tulkus, monasteries, cultural institutions and individuals (explorers, anthropologists, scholars, photographers, collectors, archives, research societies, museums, universities, etc.). 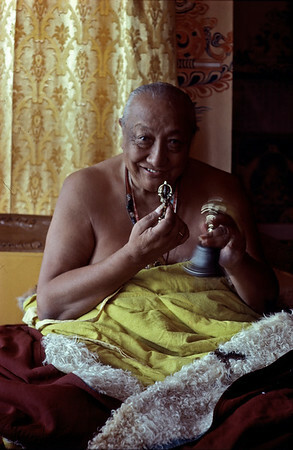 This project also benefits from the extraordinary consultation of the Tibetan historian Tashi Tsering, Director of Amnye Machen Institute, Tibetan Centre for Advanced Studies, Dharamshala, India. Our research and collection will continue until 2018. The second exhibition will be hosted by Witte de With, Center for Contemporary Art in Rotterdam, The Netherlands (co-commissioner of the project), where it will run from January 24 to May 5, 2013. The locations of the following eight shows planned have not yet been determined. No profits will be made from this project. All of the photographs borrowed will be returned to their owners after the last exhibition in 2018 and all of the portraits produced specifically for the project will be donated to a single institution. 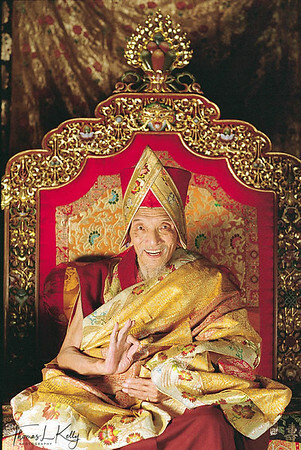 This will be done based on advice received from His Holiness the 14th Dalai Lama.